‘Fashion Africa’ the book – Available – BUY NOW!! Launched in 2011, Jacqueline Shaw, Founder and Director of Africa Fashion Guide has released her book on African fashion entitled ‘Fashion Africa – a Visual Overview of Contemporary African Fashion’ with an aim to celebrate the fashion scene in Africa and the Diaspora through images, interviews, beautiful modern illustrations and critical analysis on sourcing, production as well as an ethical perspective. Click here to buy now. Available also on AMAZON through this link click HERE. This book is available in hardback as well as paperback covers, and a downloadable PDF and can be purchased here. so where do we get this? Sounds like a really good read, I love the cover, definitely gonna have to add this one to my library. Believe us you will love it! available soon on amazon too! Hi. I’m contacting you from the Book Lounge, a bookstore in Cape Town. 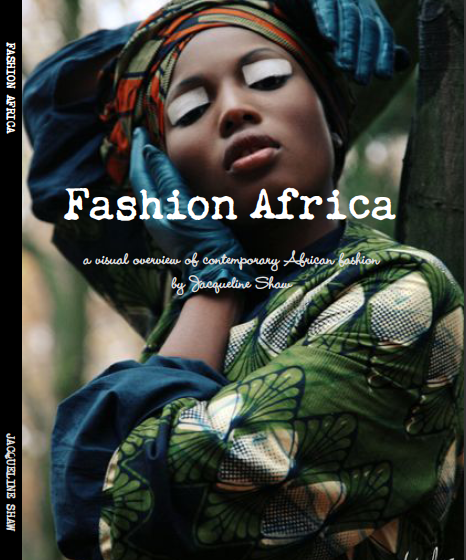 We have a customer who would like to order a copy of Fashion Africa. Do you have a trade distributor? Please can you mail me on booklounge@gmail.com, or call on 021 462 2425.